I started my year’s reading with two Cadfael books, Monk’s Hood and St Peter’s Fair, by Ellis Peters (pen name of Edith Pargeter). These are books I bought while visiting Shrewsbury Museum with my friend Pam in December 2014, so it’s about time I read them. The Cadfael series are set in and around Shrewsbury Abbey, where the titular character Brother Cadfael is a Benedictine monk, during the Anarchy – a period of civil war in England between King Stephen and Empress Maud. They are murder mysteries, but not in the same vein as mainstream detective novels and TV shows – and not just because of the historical context. These are not merely about solving the murders and bringing the murderers to justice. There’s a social dimension to them in which Cadfael helps the characters find love, reclaim rights or properties they had lost, and prove their innocence against accusations and prejudices of other characters. 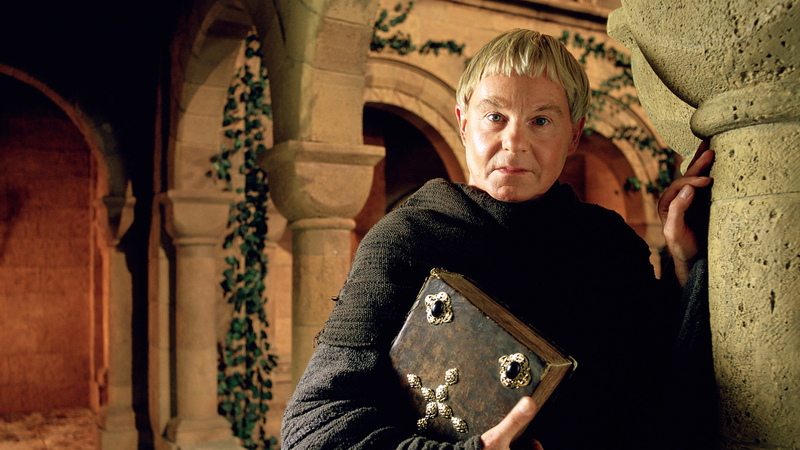 Cadfael seeks not merely to solve the murder, but also to maximise happiness and minimise suffering of all involved. The characters involved are well developed, even those not directly involved in the murders either as murderer, victim, accomplice, bereaved or investigator. They each have things they want and things they are working towards, the capacity to make poor judgements, and so on. This, I think, is a benefit of the murder mystery genre – since several characters must be considered suspects before the answer is revealed, more than one character must have a motive for the murder, something to gain from it, mistakes that put them into the spotlight, and so on, and thus must have sufficiently well developed desires and emotions to leave the reader guessing. In my own writing I find it easy to forget that side characters should also be people, well rounded, with their own desires, fears, quirks and weaknesses. They do not need to be suspects in a murder to take actions motivated by what they want to achieve or prevent. I focus on my protagonists, and if I go beyond them it is to my favourite characters besides, and other characters reamin a mystery to me. They are there to be used as the plot demands, and not really to drive the plot or disrupt it as their own desires demand. This is something I must work on. Besides offering easy reading and an historical muder mystery, the Cadfael books give me a rare opportunity to read books set in familiar surroundings. There are many books available in English which are set in London, New York, Paris, Edinburgh, Oxford and other well-known cities. So too are there novels set in fictional towns and villages whose apparent locations are kept vague. And while I have been to places like London, Edinburgh and Oxford, they are not familiar. But Cadfael is set in Shrewsbury, a town I have visited for shopping, local history, cinema trips and more for most of my life. Other locations I am familiar with are mentioned too – Cressage, Bridgnorth, Chester, Ludlow, Oswestry, the Wrekin. These are stories set in a real landscape, the same landscape I drive through and walk in and get inspiration from. That, I think, makes a difference. It feels more real, even if set hundreds of years ago. While at the moment I’m writing a lot of stories set in fantasy cultures significantly inspired by Andean cultures, I find myself drawn back to my local habitat. I’ve recently read a book called Shropshire Folk Tales by Amy Douglas, which featured a few stories I knew and others set in and around places I’ve been to or am aware of. Then there’s the poetry of A E Housman, who mentions Shrewsbury, Ludlow, Much Wenlock, the Wrekin and the Severn by name, and Wroxeter by its former name Uricon. These poems evoke a sense of place and time that I recognise too in the landscapes, stories and even very old photos and film of the local area. Shropshire is not without literary grounding – and I’d like to pursue a better knowledge of it. Perhaps then I could add to it. So if anyone knows of any Shropshire-based fiction, folklore or poetry, please let me know and I can add it to my reading list.